Interested in buying a pre-owned car near San Jose or Palo Alto? If so, you’re probably well-versed in the benefits of used-car buying, but do you know what you’re looking for? We can help! Whether you want an affordable mainstream car or a pre-owned Porsche 911, Porsche Fremont is your reliable guide to buying used. Look below for a few tips on what to look for when buying a used car! Many shoppers think that because they’re buying used, they’re automatically saving money. True, buying used is less expensive than buying new, but it’s important to make sure you’re paying a fair used-car price. Kelley Blue Book is a good source for checking the average prices of used cars in the marketplace. In addition to fair price-tags, our pre-owned and certified pre-owned cars also come with their own CARFAX® Vehicle History Report. What’s my preferred price range? Am I leaning toward a practical vehicle or something high-performance? Do I need space for kids, dogs, or cargo? What are my gas mileage needs? What’s my parking situation like at home? What do expert and consumer reviews say about the vehicle I’m considering? One of the easiest ways to decide on a car is to make two lists: one with your wants and the second with your needs—then combine the two. Narrow down your choices based on your third list. And many more reasons to buy! 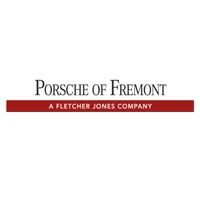 Find a Quality Pre-Owned Car at Porsche Fremont! Do you have more questions about what to look for when buying a used car? Contact us at Porsche Fremont, or visit us near San Ramon and Livermore to browse our current pre-owned inventory in person. If you’re ready to move forward with the buying process now, apply for financing online!